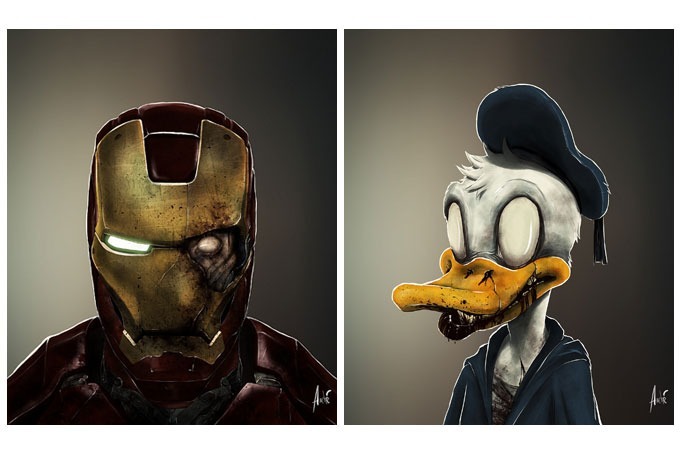 So if this zombie apocalypse really does take place, what exactly would our beloved cartoon characters and superheroes look like? Probably a lot like these insanely brilliant portraits. 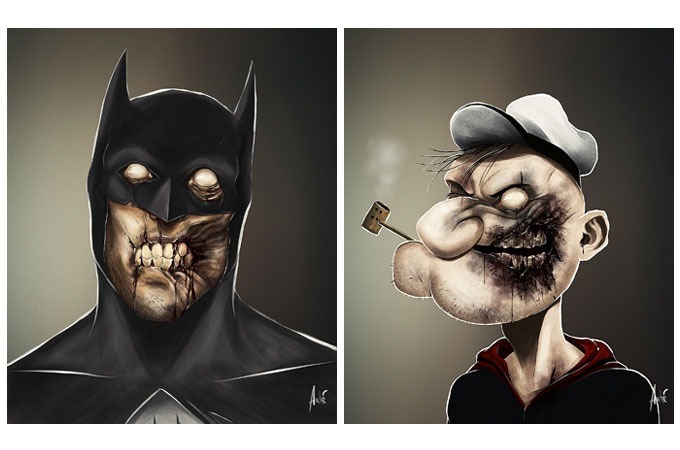 Artist Andre de Freitas created an all new series of prints featuring zombified faces of icons including Batman, Iron Man, Charlie Brown, Donald Duck, Popeye and even Waldo, among others. The prints are being sold at Society6 and are available from 8″ x 9″ all the way up to 22″ x 26″. Art enthusiast or not, any guy can appreciate these.